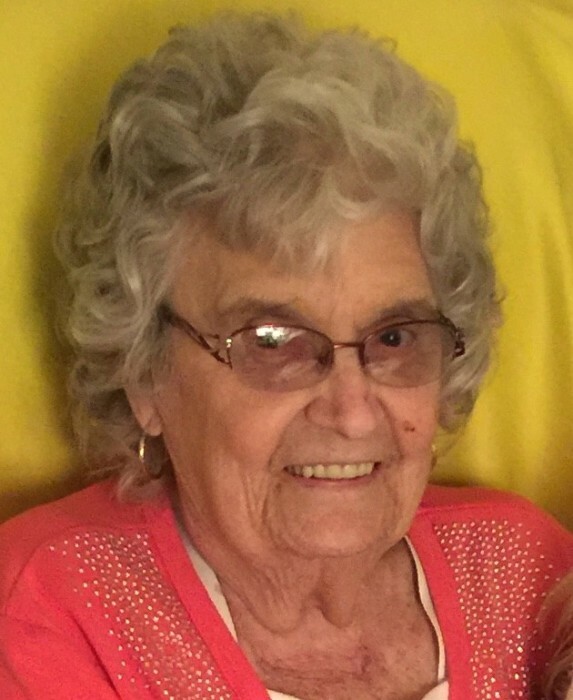 Obituary for Alice M. (Weir) Hancock Isenberg | Myers - Somers Funeral Home, Inc.
Alice M. Hancock Isenberg, 86 formerly of Altoona died Tuesday March 19, 2019 at Greenfield Senior Living, Harrisburg. She was born June 12, 1932 in Huntingdon a daughter of the late John I. and Agnes Mae (Morningstar) Weir. She was twice married, first to David Hancock and then on February 17, 1990 to Robert J. Isenberg who preceded her in death September 2, 1995. Surviving are two daughters, Patti Garman-Scott and her husband Craig of Mechanicsburg; Penny Rago and her husband Mark of Painesville, OH; seven grandchildren, Marsha Cox, Nathan Rago, Wendy Banas, Christopher Rago, David German, Courtney Schmidt and Brianna Garman; ten great grandchildren, Brandon, Vince, Ryan and Daniel Rago; Cameron and Carter Cox; Elexis Steiner; and Ethan, Nathanael and Evelyn Schmidt. Alice was preceded in death by a daughter, Pamela German on January 28, 2004 and a great grandson, Jacob Rago on January 27, 2017. Mrs. Isenberg was a member of Simpson-Temple United Parish, Altoona. She was a 1950 graduate of Altoona High School. She had previously been employed as a secretary for Juniata College, Manpower and Consumer Credit Counseling Service of Western Pennsylvania. Alice retired as a secretary from Home Nursing Agency. She enjoyed swimming, movies, camping and painting. She especially enjoyed spending time with her grandchildren and great grandchildren and many friends. Being a mother was Alice’s greatest joy in life. She was also a loving wife, a devoted daughter to her late parents and several aunts and was a cherished friend to many in her community. Friends will be received Saturday March 23, 2019 from 1:00 p.m. to 3:00 p.m. at Myers-Somers Funeral Home, Inc., 501 Sixth Avenue, Altoona where a funeral service will be held at 3:00 p.m. The family suggests memorial donations please be made to the ELCA Allegheny Synod, 701 Quail Avenue, Altoona, PA 16602.